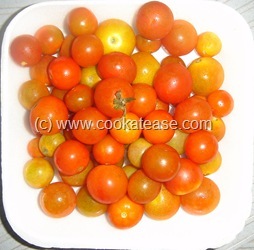 Cherry tomato is a smaller garden variety tomato that comes in oval or round shape. It is mostly loved for its shape and colour. 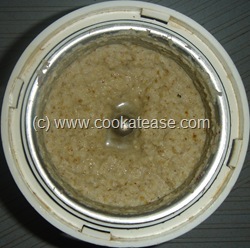 It is used more in salads and pastas but taste well if we use in other dishes. 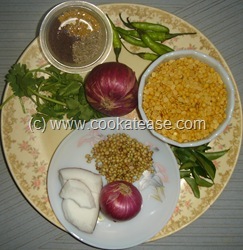 It can also be used as normal tomato in curries. 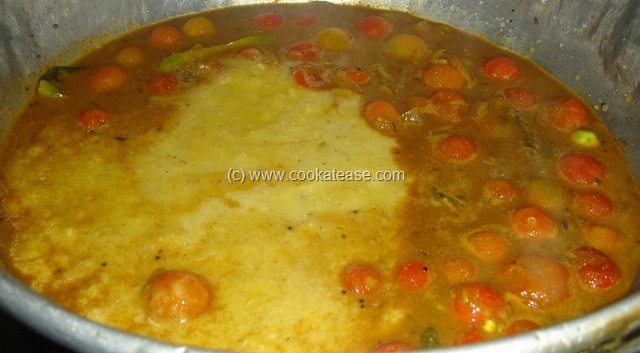 Cherry tomato sambar gives different taste than the normal sambar. This tastes like hotel sambar served for idli, dosa and suits well with snacks. 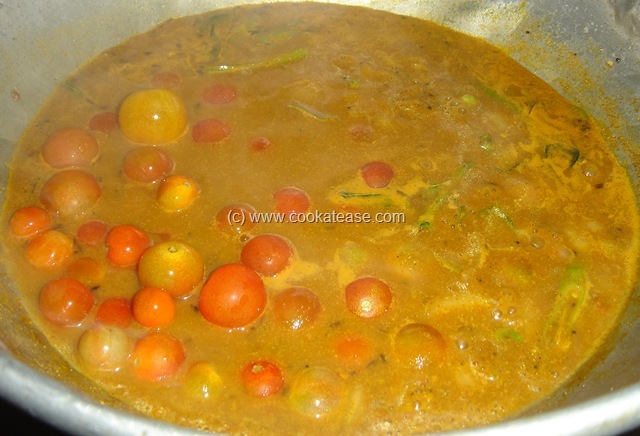 I used less tamarind as tomato has some sourness. 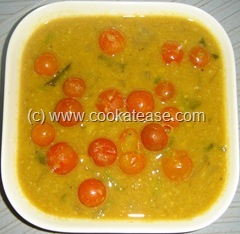 Also I used less red chilli powder (used green chilli more) to get the colourful cherry tomato in sambar. 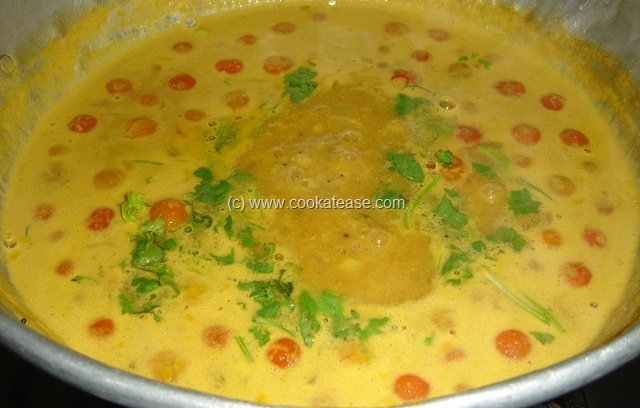 Boil toor dal in a pressure cooker till soft and mashable; soak tamarind in some water and extract the juice. Grind the items given with little water to a soft paste; chop onion and slit green chilli. 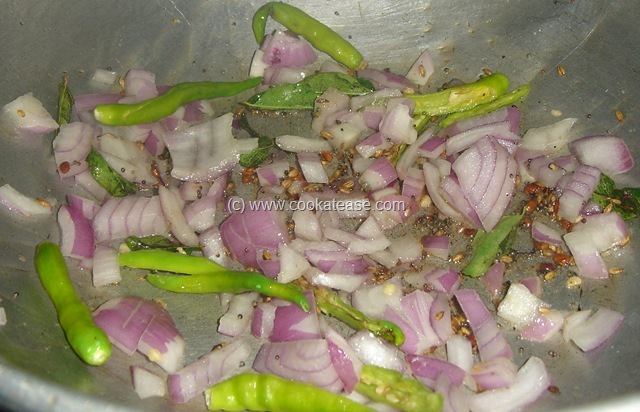 Do the seasoning in a pan, add chopped onion, green chilli and fry for few seconds; now add red chilli powder, turmeric, asafetida, coriander powder, salt, tamarind juice and bring to boil. When onion is soft, add cherry tomato (do not chop tomato) cook for 3 to 4 minutes or till the outer skin of tomato is lightly cracked; cherry tomato cooks easily and starts floating when it is cooked; now add boiled dal, ground masala, add 1 to 2 cups of water, mix well and boil it for few minutes; add coriander leaves and remove from flame. 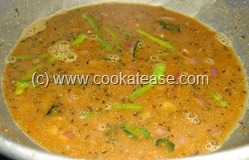 Serve hot with idli, dosa or any other snack. 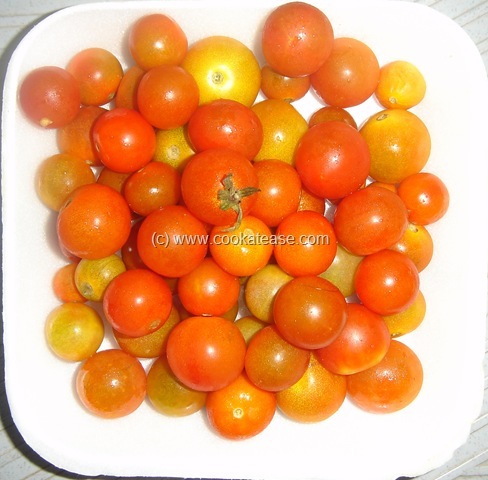 In place of cherry tomato, we can use normal tomato or only onion or any other vegetable. 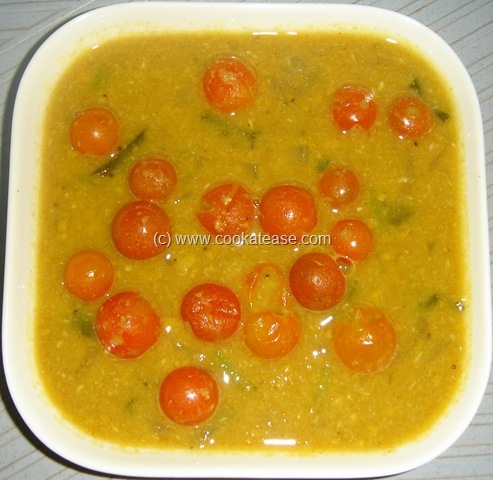 lovely n yummy..nice idea dear..
Apart from salad, never tried anything with cherry tomatoes, sambar looks fabulous.. 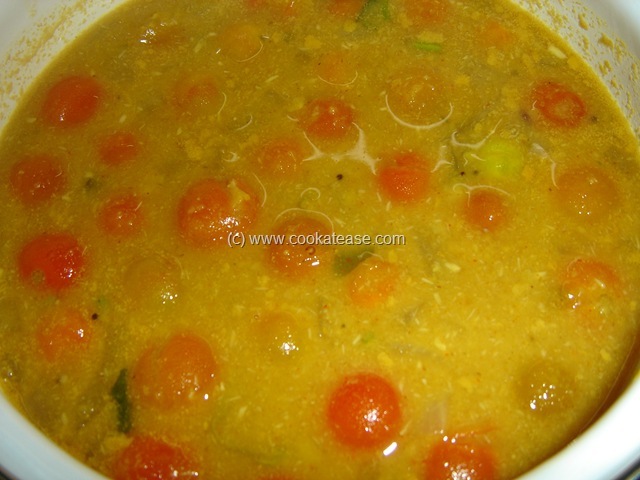 It indeed looks like hotel sambar, and i for one never knew we could make sambar like this with cerry tomatoes, i am sure for bookmarking this one. Thanks for your response and your lovely comments. здорово! очень аппетитна! сделаю, очень люблю готовить. cool! very appetizing! do, I love to cook. I love this sambar. It was very tasty! 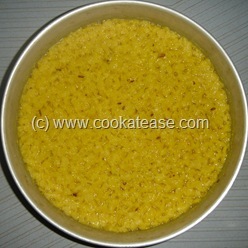 Please keep posting new recipes.